The Dodge Charger and Dodge Challenger leave other muscle cars in their wake. 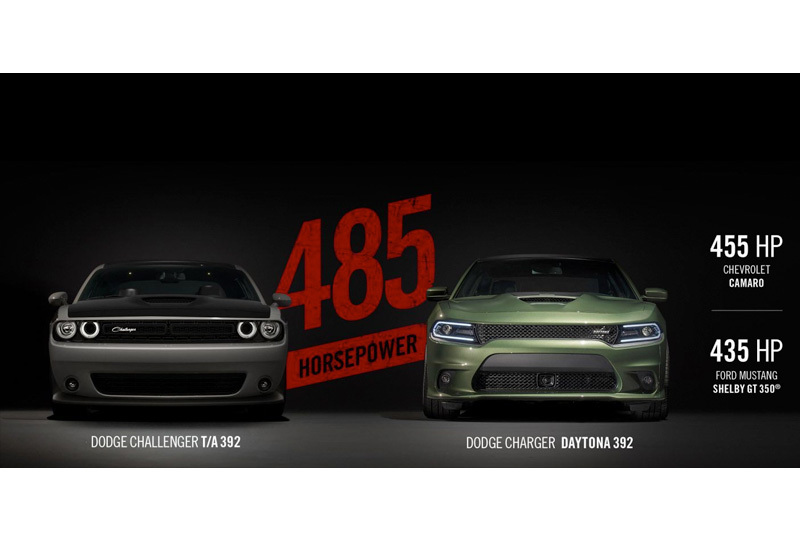 With a monstrous 485 horsepower and powerful Brembo six-piston front, four-piston rear high-performance brakes, the Dodge Challenger T/A® 392 and Dodge Charger Daytona 392 deliver the most horsepower and feature the largest brakes in their class under $45,000. 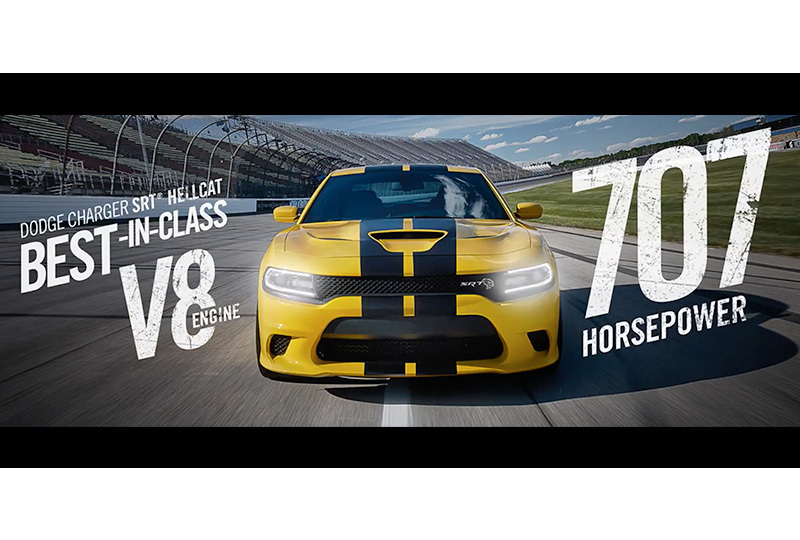 The Dodge Charger SRT® Hellcat is the most powerful sedan ever with Best-in-Class horsepower of 707 . 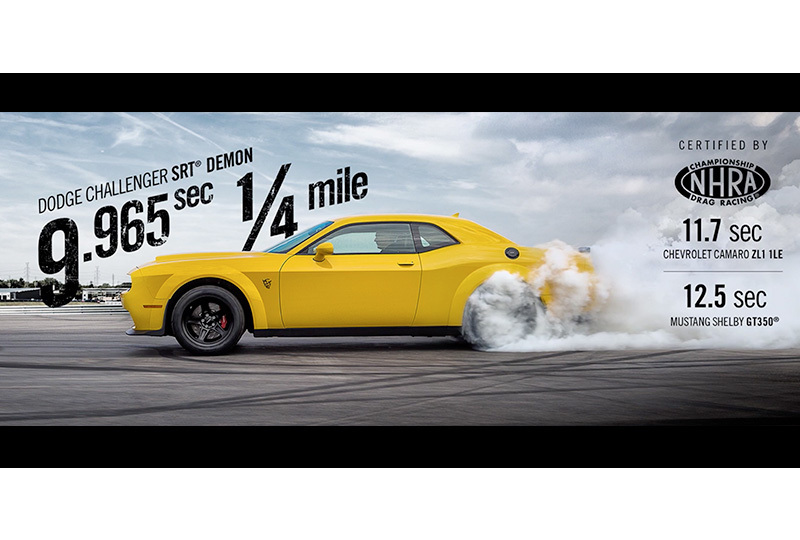 The Dodge Challenger SRT® Demon has the world's fastest quarter-mile production car time of 9.965 seconds12. Power and functionality combine to make this an unrivaled pair. 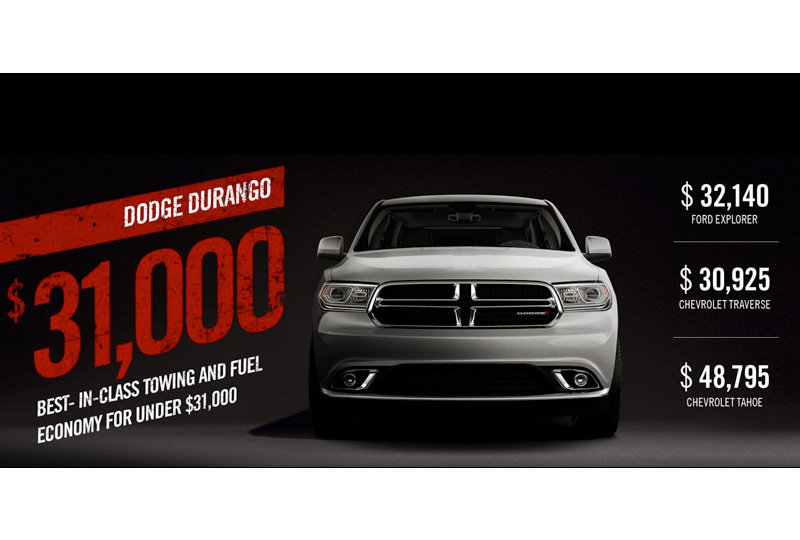 The Dodge Durango provides Best-in-Class towing and fuel economy for under $31,00011, and the Dodge Journey is the most affordable three-row vehicle in its class12. So it's no surprise this pair delivers what you want at prices that can't be beat. 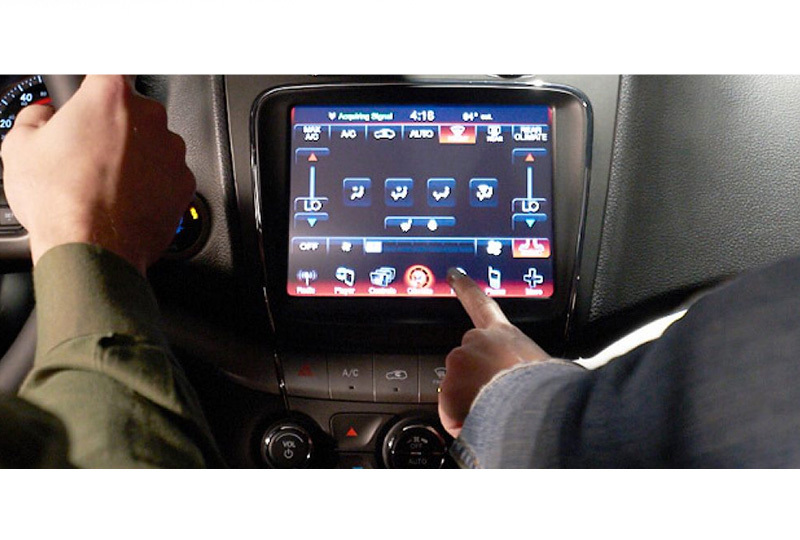 The Dodge Durango and Dodge Journey deliver advanced technology and comfort that make every drive one to remember. There's plenty of room inside the Dodge Journey. 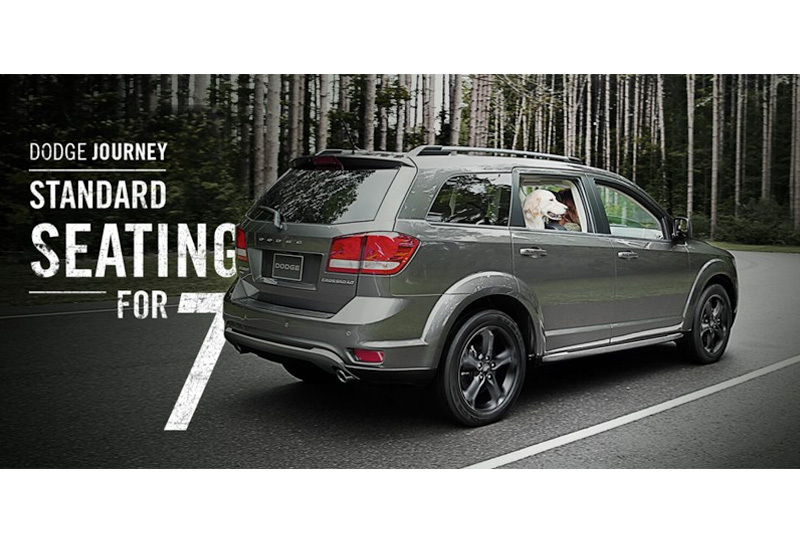 Get standard seating for seven. Something you won't find in the Ford Escape, Chevrolet Equinox or Nissan Rogue. 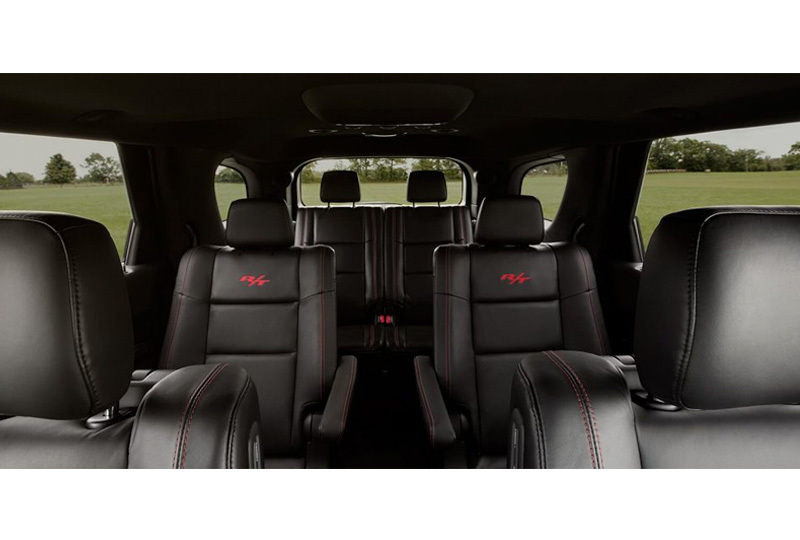 There are plenty of SUVs to choose from, but only the Dodge Durango SRT® is America's fastest and most capable three-row SUV13. 10. Based on MSRP and the WardsAuto Large Regular Car and Middle Specialty Segments. Excludes other FCA US LLC vehicles. 11. Excludes non-mass production vehicles, (low volume and coach builders) and hybrids. 12. Certified by NHRA testing. 13. Based on quarter-mile time and towing capacity. Excludes low-volume production vehicles.